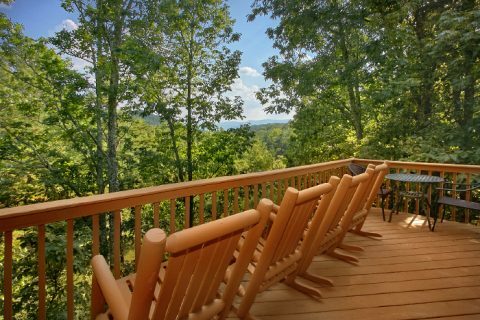 Nestled in the Smoky Mountains above Pigeon Forge, you'll find "A Ruff Life" in the Eagle Crest resort area! 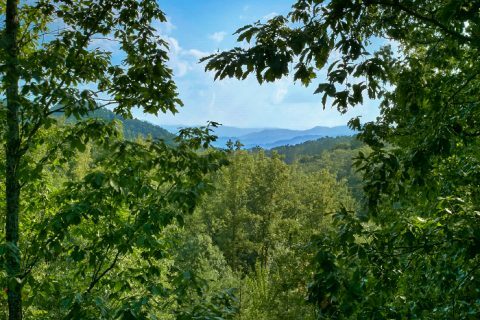 From this great spot on the mountain, you can see for miles and miles – a perfect view for relaxing with your friends and family! 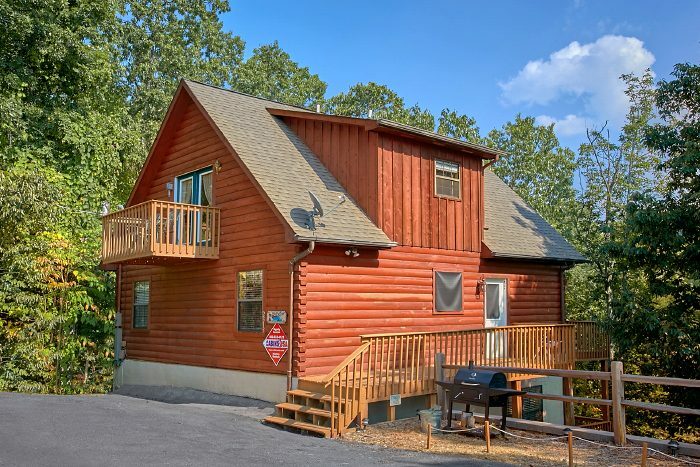 Since this 3-bedroom rental is located just off of Upper Middle Creek Road, it affords guests quick access to Dollywood Theme Park that's only a few miles away. 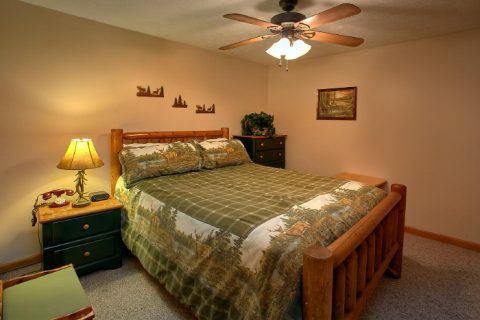 Along with a beautiful mountain view and access to the region's top attractions, guests of "A Ruff Life" will also enjoy having great amenities during their stay! 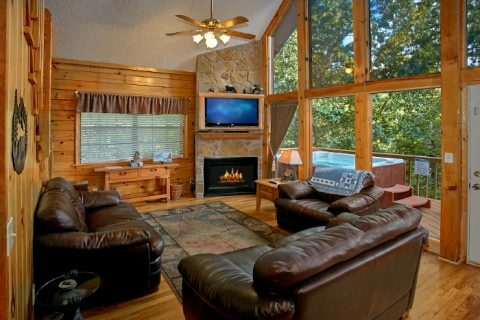 Enter into the great room of this cabin with a stone fireplace, comfortable leather furniture, and a 42" HD television. Be sure to take advantage of this cabin's special television package that includes Encore, six Starz channels, and several sports packages like the NFL, Fox Sports South, Fox Sports Net, ESPN, and the SEC channel. 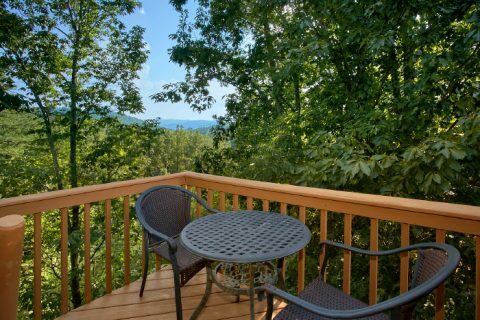 From the living room area, you can access your cabin's back deck perched in a forest with a lovely view. 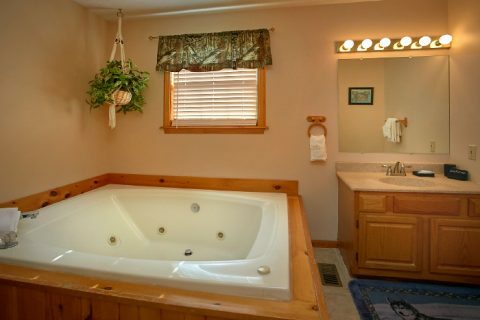 Even better, you can take in your mountain vista while you take a dip in the hot tub or relax in a rocking chair. 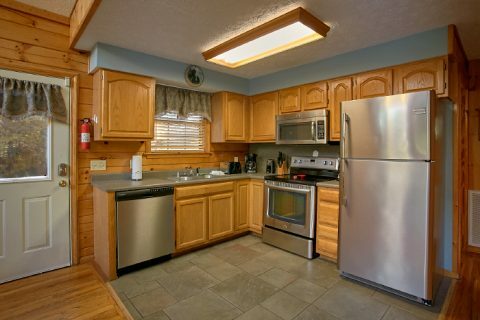 In the nearby kitchen, you'll find sleek, modern appliances and all the kitchen basics. 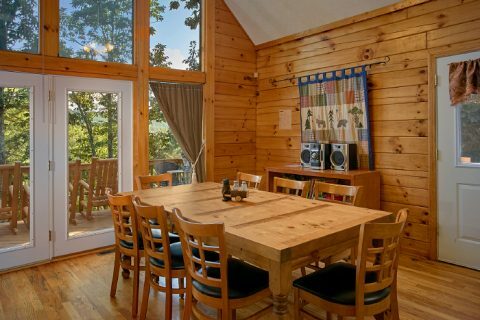 Along with a charcoal grill and a table with seating for 8, enjoying good dinners with family and friends is bound to be a highlight of your trip! 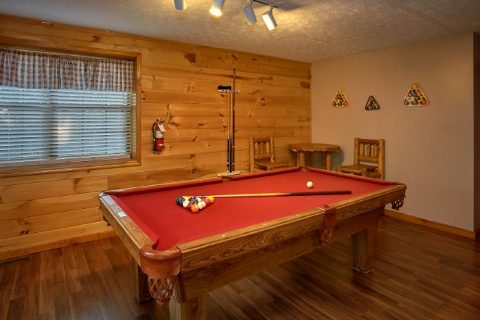 Downstairs in the game room, there are plenty of ways to have fun! This area comes outfitted with a pool table, stand-up arcade game, card table, and bar table. 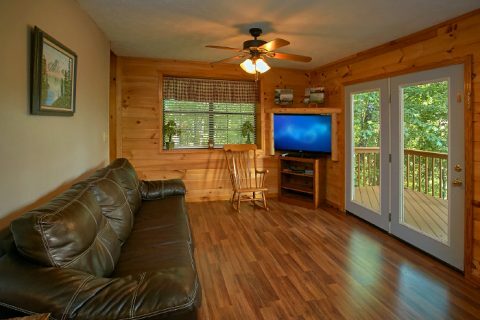 There are also a 47" HDTV and a leather sleeper sofa in this room that are perfect for kicking back and watching the big game! 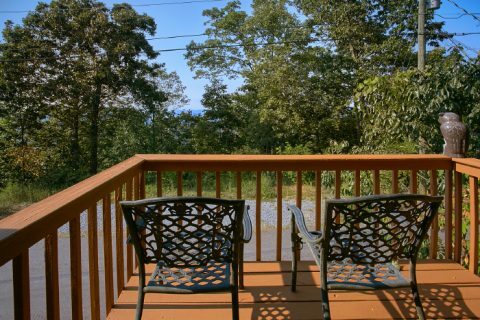 This level also has access to a lower deck that's surrounded by a lush forest. 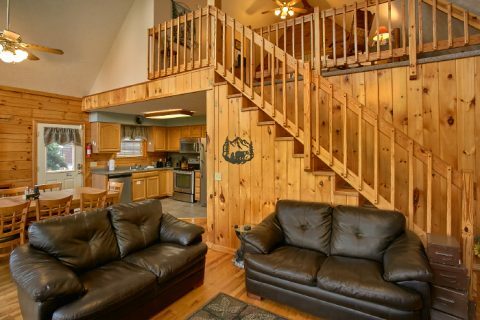 "A Ruff Life" features private bedrooms on each floor of this 3-story cabin. 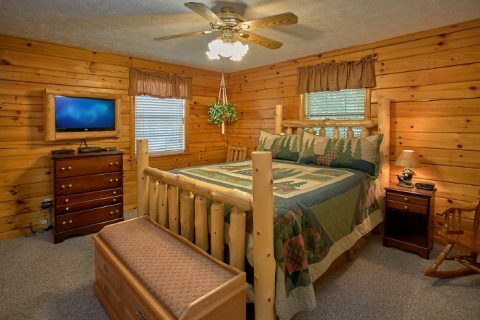 Each room provides guests with a queen-size log-fame bed and access to a full bath. 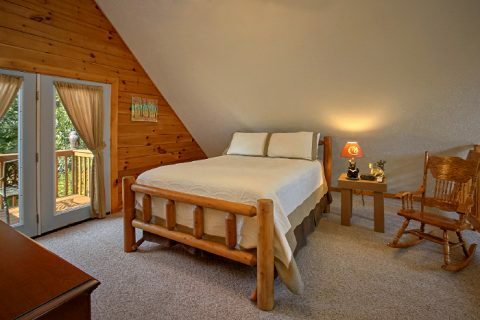 As an added treat, the upper-level bedroom loft boasts private balcony access and a full bath with a jacuzzi tub for two guests! 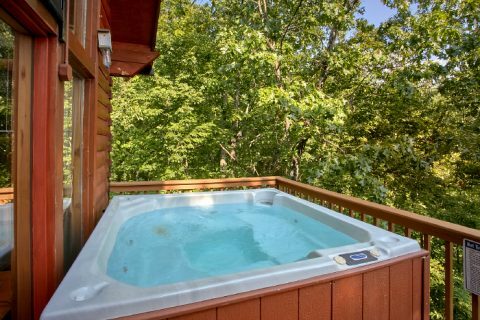 Don't forget to book your Smoky Mountain cabin rental online with Cabins USA Gatlinburg to earn a special discount on your stay. 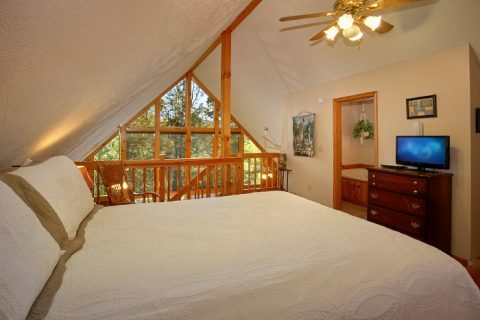 Save 15% on your lodging in the Smokies and enjoy a fun cabin with a beautiful view!